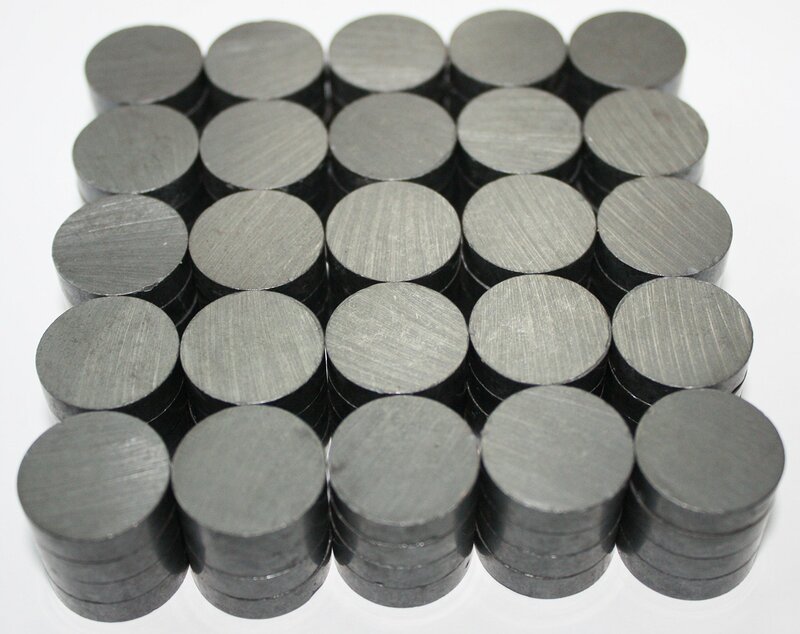 Home › School and Office › X-Bet Magnet - Ceramic Industrial Magnets - Round Disc - Ferrite Magnets Bul..
X-Bet Magnet - Ceramic Industrial Magnets - Round Disc - Ferrite Magnets Bul..
X-bet MAGNET - Ceramic Industrial Magnets - Round Disc - Ferrite Magnets Bulk for Crafts, Science&hobbies - Grade 5 - 100pcs/box! CONGRATULATIONS!Your search for the Perfect Ceramic Magnets is officiallyover!No need to worry about their power, reliability and quality anymore.X-bet MAGNET are the most widely used permanent magnets today.The 7 MainBenefits:1. Great for all Home, Office, Craft, Hobby, Science Projects andProduct Manufacturing applications. Ceramic Magnets are perfect for glassgems, mirrors, for making refrigerator magnets, bottle cap magnets, smallsigns, magnetic buttons, and more others.2. Best Price/Quality. 100 HighQuality Magnets in Box.3. Force 2800 Gauss, Grade 5 Ceramic.4. HighResistance to Thermal Stress. Ceramic magnets can be used at fairly hightemperatures, although their magnetic properties drop with temperature. At175 C (350 F), approximately 75% of their room temperature magneticproperties are retained.5. High resistance to corrosion & oxidation.Ceramic/ferrite magnets are made by the pressing and sintering of a powderedmixture of strontium and iron oxide.6. Practical size - Large Diameter 12/17"& Small Thick 3/15".7. Can be glued on to any surface. These are receptive tomost adhesives including hot glue, E6000, Goop, Bond 527, Liquid Nails, 2 partepoxies and more.Return & Warranty:30 Days Money Back Guarantee. We'll refundevery penny (or replace it)!Feedback:We request that you contact usimmediately BEFORE you give us negative feedback, so that we cansatisfactorily address your concerns. ----> Click the purchase button rightnow and receive the X-bet MAGNET!